''We (the Virdee-Hero family) have been visiting Nepal since 2009. 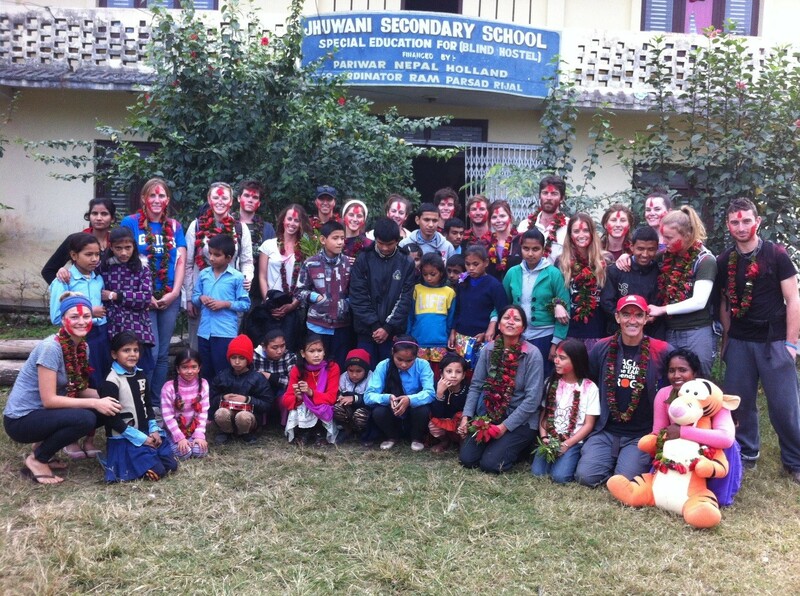 Initially we were working on conservation programs with Australian University students in the Terai lowlands. We were struck by the beauty of people living with so little. We found the local orphanage where children had been orphaned due to their parents being killed by wildlife and natural disasters and were compelled to assist them. As we trekked through the Himalayas, and carried out further conservation programs, we saw what little children had. I remember a woman walking for a day from another village as she heard that I was giving away my 4-year-old daughter’s jumpers and was donating footballs. I clearly remember asking my daughter to take her jumper off and give it to the child in the freezing cold conditions. Returning to Australia, our daughters asked for money instead of birthday and Xmas presents to help underprivileged children. Our friends supported us with blankets, clothes, shoes and anything they could miss. One year we visited the blind school, where we were shocked at how little the children had, not enough food nor blankets for winter; the absolute basic necessities in life that we take for granted here in Australia. We returned a few days later with a truck full of food, clothes and blankets and were so deeply moved by the love, gratitude and joy they displayed; the whole community showered all of us with leis and sang to us so beautifully. In Nepal, blind children are often abandoned in regional areas as their parents are unable to care for them. We connected with a not-for profit organisation NAFA (Nepal Australia Friendship Association) to expand our contributions. Working in education, we understand that knowledge is power and passionately support NAFA in providing desks, shelter and toilets in schools, so that children can go to school. Over the years we have helped in remote areas to provide food, clothing, mattresses, desks, blackboards, blankets, equipment stationary and school fees wherever we can.